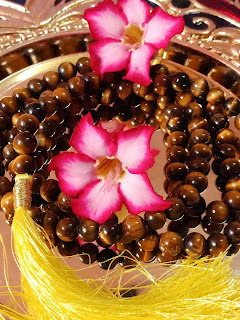 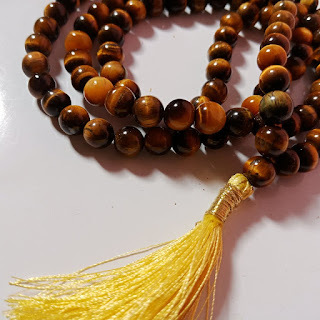 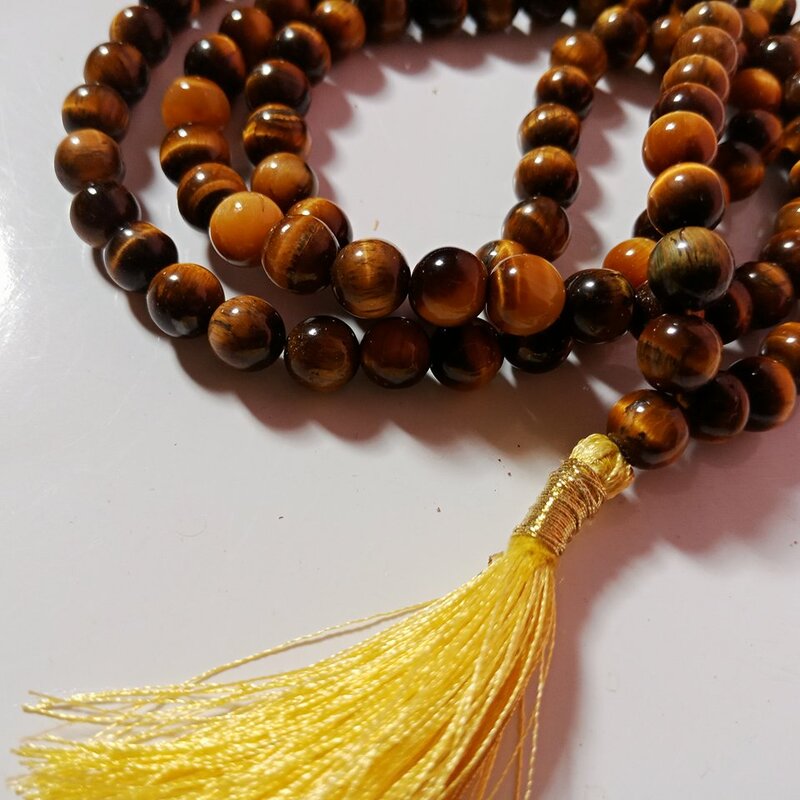 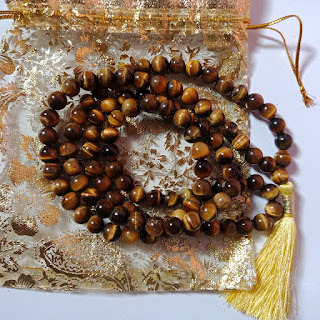 This gorgeous mala contains 108 + 1 8 mm natural Tiger Eye beads traditionally strung in waxed pure cotton thread with gold and yellow satin tassels attached. 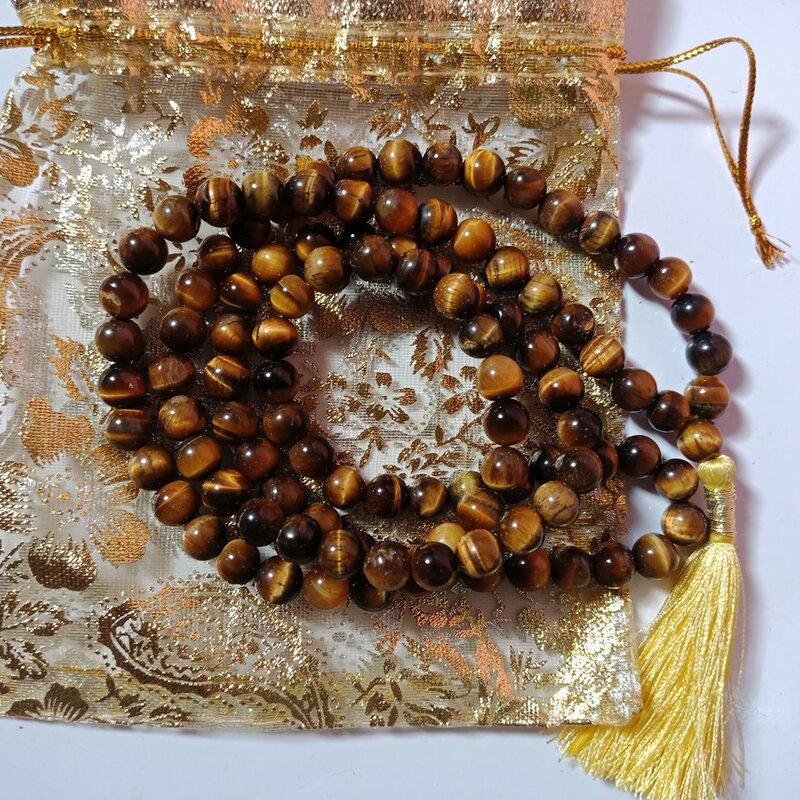 The tiger-eye gemstone has a long history as one of the most revered stones in this dimension. 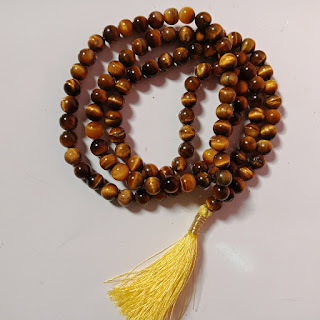 The ancient Egyptians believed it represented divine vision and therefore used it for the eyes in their divine statues. Roman soldiers also used to wear this gemstone as it was thought to keep them brave during battle.